I love photographing elopements! 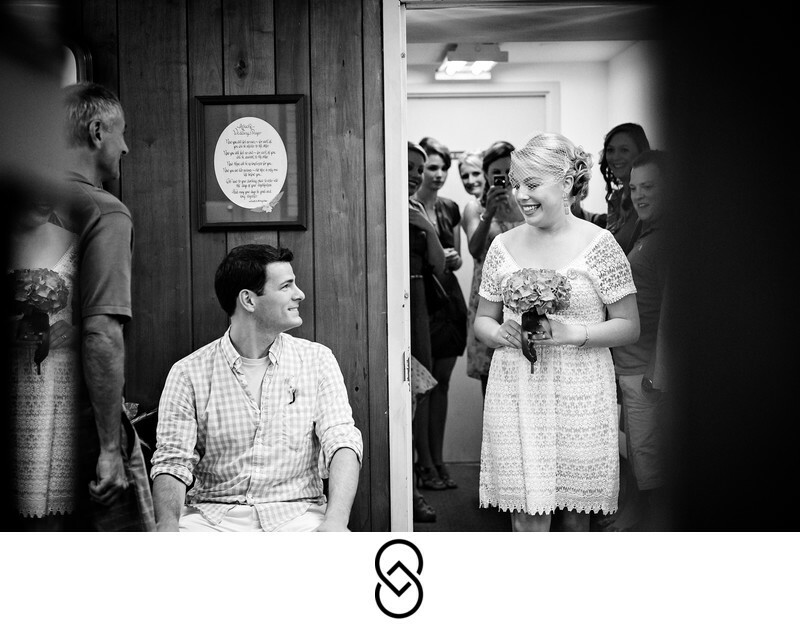 I have worked with many couples over the past 12 years and I really enjoy documenting your wedding day, big or small! In order to get a marriage license, one of the parties can apply in person. The Marriage Bureau is located at the Moultrie Courthouse in room JM-690. The application is available there, or you can download it ahead of time through this link, and bring it with you. There are no appointments - it is first come, first served. You'll sign in at the computer kiosk and wait to be called. You'll need to provide government issued ID for both parties, in the form of a driver's license, state ID card, or passport. You must be 18 or older to marry in the District of Columbia, or 16 if you have parental permission. The fee for the marriage license is $35, payable by cash, credit card, or money order. If using check or money order, you should make funds payable to Clerk, DC Superior Court. There is also a $10 charge for each certified certificate of marriage. You may want to order 3-4 official copies for your records. The marriage license itself will be issued on the same day. You must know the name of your officiant at the time you apply for your marriage license. The officiant must be registered with the District of Columbia. Or, you can request a civil wedding and you can choose a date to be married at the courthouse. Please be aware that courthouse weddings often book up in advance, especially during busier times of year. I recommend you schedule at least 8-12 weeks in advance during busy times. You can make this appointment while you are applying for the marriage license. Or, you can apply via this form. Too busy to wait in line, or are you coming from out of town? Good news! You can have a third party apply for your marriage license on your behalf. You must provide them with copies of your ID as well as a completed application and the appropriate payment. Did you know that you can "marry yourself" in Washington, DC? If you go together to the courthouse, you can choose to "self-perform" the ceremony, which means just the two of you need to sign off on it! So, if you really want to keep things intimate, this is an option for you! Still, I highly recommend hiring a great elopement photographer to document your day so that you'll remember all of the wonderful moments as you say I do.